The Fire & Burn Foundation prides itself on being a resource to the community. 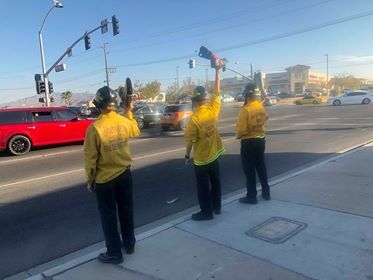 In keeping with this goal, the Institute has worked diligently to develop and strengthen its strong relationship with schools, service clubs and other community-based organizations – and in particular the fire service – throughout Riverside and San Bernadino counties. Examples of the Fire & Burn Foundation's commitment to the community include public service announcements, speakers bureau and the annual Courage Awards Banquet. 6th Annual Bowling Bowling for Burns Raises Almost $25,000!